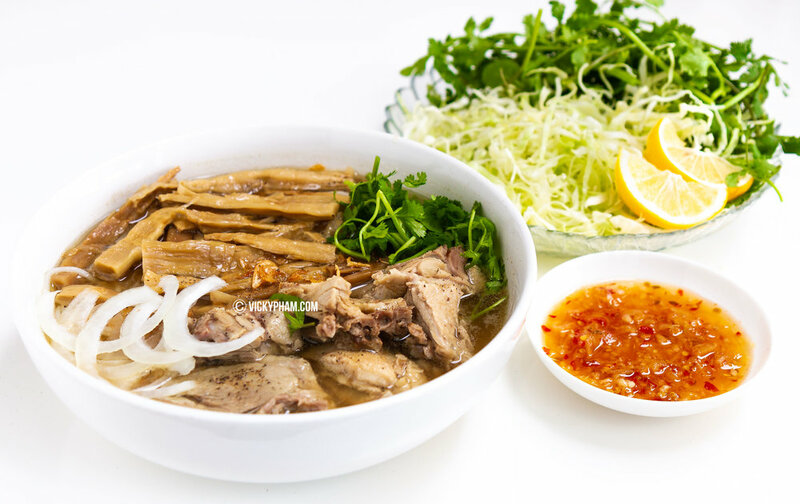 Bun Mang Vit is a Vietnamese rice vermicelli duck noodle soup with bamboo shoots, garnished with shredded cabbage, green onions and a wedge of lemon for squeezing. Other herbs like mint, cilantro, Vietnamese coriander (Rau Ram) and green onions may also garnish the bowl. This noodle soup comes with the must-have ginger fish sauce (Nuoc Mam Gung) for dipping the slices of duck meat.